`This is a challenging book and makes for uncomfortable reading at times because one realises that there is so much more to be accomplished in education. How can the teacher who wants to follow this further find out more? Barbara MacGilchrist, Jane Reed and Kate Myers have given the next step: each chapter has a conclusion and "questions for discussion and activities" which are very open and will lead to considerable introspection' - Education Review`I have rarely been so enthusiastic about a book. Reviewers are supposed to highlight some imperfections - I am at a loss. Recommend this book to all you meet' - Mervyn Flecknoe, Improving Schools`This book would be an invaluable read for all who work in schools including LEA advisors, inspectors and consultants. It contains a chapter on teachers' learning and has some excellent questions for discussion at the end of each chapter that could usefully stimulate ideas for staff development sessions. It would be great if this book were read and taken seriously by those who make policy as well as those who try to put it into practice' - Escalate`The book is easy to use, clear, well organized, full of practical examples and equally practical questions. It could be a signpost to the future - if the days of educational diktat are really almost over' - Michael Duffy, Times Educational Supplement, Friday Magazine`This Second Edition of The Intelligent School offers a concise and accessible insight into the key aspects of educational leadership. 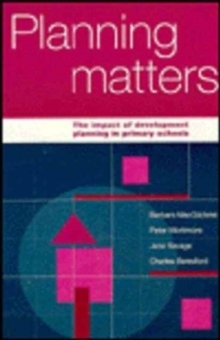 In my view, it ought to be read by anyone who is keen to develop their understanding of theoretical frameworks expertly illustrated through practical examples' - Neil Saunders, Primary Phase Inspector - Hampshire LEA ,(Doctoral Student - The University of Hull)`This is an excellent book. 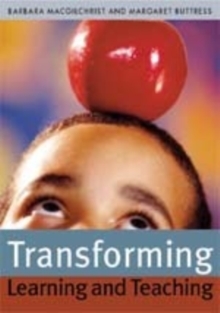 I will use its insights and the wealth of practical questions it offers to help with my present politically driven imperative - the transformation of London's secondary schools. If I have this book at my elbow and make sure it's well thumbed, there is every chance that we can create 411 intelligent schools across London. The new insights in The Intelligent School are a testament to the extraordinary proficiency of these three authors. As the waiter in the restaurant says when serving the meal "Enjoy"' - Tim Brighouse, Times Educational SupplementBarbara MacGilchrist, Kate Myers and Jane Reed have written a masterpiece. The First Edition of the Intelligent School in 1997 was an outstanding book and it is no surprise that a Second Edition has followed relatively quickly to share more good news for practitioners, policymakers, researchers and scholars. The First Edition shaped my thinking more than most in the late 1990's and I cited it in scores of presentations in different countries around the world. It was a perfect complement to our work on the self-managing school. 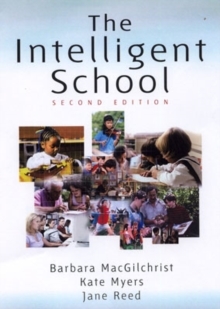 In this Second Edition, the concept of the Intelligent School is expanded and the different kinds of intelligences are carefully explained and illustrated. The authors are able to draw on more than five years of implementation in the field and further and broader work in the research and development centres with which they are associated. They offer the best synthesis of the international literature on school effectiveness and school improvement that I have seen. They have performed a great service in making this literature accessible to the profession. I recommended the First Edition as essential reading for all the work in schools. Those who did not do so should certainly acquire the second, but it is important that policymakers and academics do the same. `This book will quickly gain recognition as the leader among an increasing number of books that provide hope that all students in every setting can achieve a high quality education. 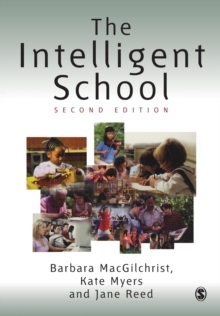 It is one of the truly outstanding features of this book that it also conveys an unbridled spirit of optimism' - Brian Caldwell, Professor & Dean, Faculty of Education, University of MelbourneIn writing The Intelligent School, Second Edition, the authors offer a practical resource to schools to help them maximise their improvement efforts. The aim is to help schools to be intelligent organizations; to be the type of school that can synthesise different kinds of knowledge, experience and ideas in order to be confident about current achievements, and to be able to decide what to do next. This Second Edition has been fully revised and updated particularly in terms of new research evidence about how to improve the quality of learning and teaching in classrooms. 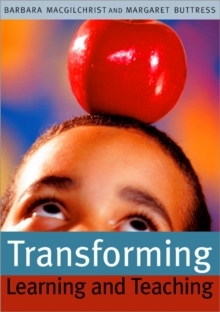 The authors set out fresh thinking about the nine intelligences and provide a new framework for school improvement which includes the exploration of spiritual, ethical and emotional intelligence. The book also includes examples of Intelligent Schools in action.